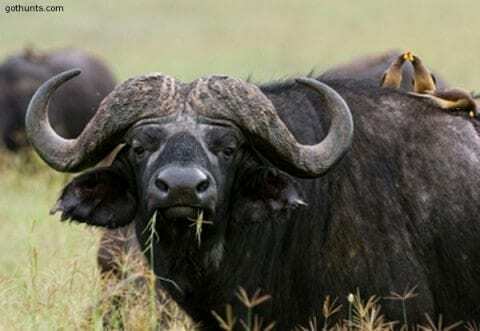 Wow Cape Buffalo with a Bow!!! I still can’t believe I am heading to Africa! Let alone to go on one of my Top 5 Bucket List hunts, Cape Buffalo with a bow, aka Black Death, Dagga Boys, oh yeah. I have dreamed of hunting Cape Buffalo with a bow since I was 12 years old and started reading Capstick’s books. Well now the dream is quickly becoming a reality, but on relatively short notice. Cory Glauner, his son Webb and I will be departing soon, for what is sure to be an incredible dangerous game hunting adventure. But, before any of that, I have to get my set up figured out and dialed in as I don’t want to end up on the wrong side of Black Death..with that being the death side. I am kind of a gear junky from the standpoint that I generally like to have time to tinker with my equipment and set up until I have it just right, which usually takes me at least 2-3 months. (once I have a set up I like, I generally leave it alone, kind of superstitious too). Since this is my first trip to Africa, not to mention the fact that I will be hunting cape buffalo with a bow, one of the most dangerous animals in Africa with a stick and a string, only having about 4 weeks to get ready has me feeling a little anxious. So first thing first… the bow…70 vs 80lb? I know a lot of people say you have to shoot an 80lb bow, it’s not that I disagree with using 80lbs (as I believe that you should use the biggest club you can use well) as it gives you the added benefit of some extra Kinetic Energy to push a big heavy arrow. But, with a short time frame, I don’t feel that I can be ready form wise to shoot perfectly with 80lbs, not to mention for many of us, it is simple math, as I definitely can’t afford to buy another bow, and even buying limbs isn’t cheap. The good news is, in doing my research and talking with a number of guys, I have come to the conclusion that my 2014 Hoyt Spyder Turbo at 72 lbs, 29” draw paired with an 700+ grain arrow will do the job and be my weapon of choice. I haven’t had a chance to do the final testing as of yet, but this is what I am going to start off with for my arrow set up, a 29.5” Easton FMJ Dangerous Game 300 at 16 gpi, with 75 grain insert, 3 4 inch AAE vanes, x nock and 150 gr broadhead, which currently has me sitting at about 761 grains of total arrow weight with approximately 13% FOC. 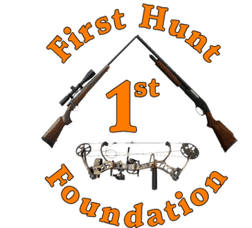 I personally believe that with these new compound bows, the key to successfully pursuing dangerous game, is to have a really good solid arrow, with at least 10% FOC and a sharp/tough 2 blade broadhead. Currently I am exploring shooting the Silver Flame (German Kinetics) or the Ashby Single Bevels. At the end of the day, I know with this type of setup my bow should produce over 80 foot pounds of Kinetic Energy which, so long as I don’t screw up, is plenty to punch through a cape buffalo’s tough hide and ribs, and when you combine that KE with tons of momentum from a solid heavy arrow with plenty of FOC, that should keep them moving right on through the animal. So realistically for cape buffalo with a bow, this setup should not have any issues. I also plan on utilizing lighted nocks to make it as easy as possible for the PH, Cory and I to have a clear picture of arrow impact so we can as safely as possible verify the shot and make sure we get the animal down and recovered (and avoid the Dagga Boy Tango).